Predictable Nobel Prizes in the Economic Sciences? 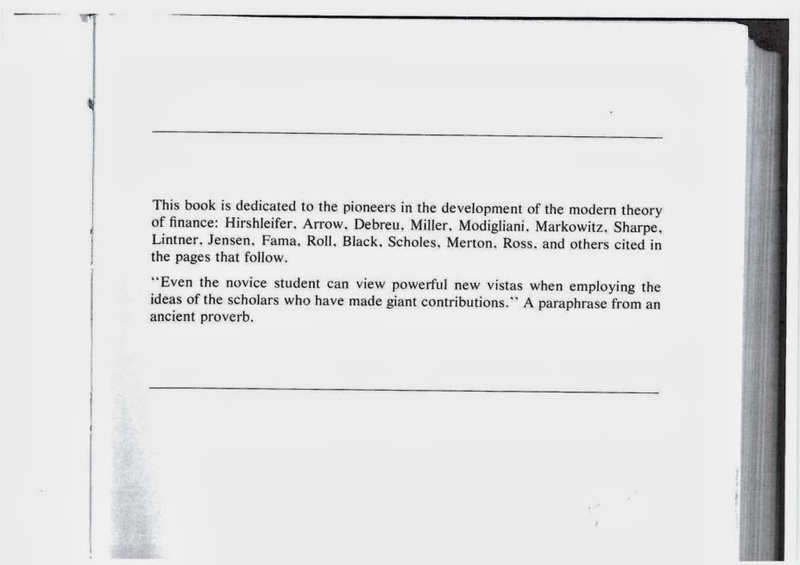 A curiosity: In the very first edition of their textbook Financial Theory and Corporate Policy (Addison-Wesley, 1979), the authors Thomas E. Copeland and J. Fred Weston dedicated the book to 15 named “pioneers in the development of the modern theory of finance”. Out of these 15 pioneers, eight have since been awarded the Nobel Prize (viz. Debreu (‘81), Modigliani (‘85), Miller (‘90), Markowitz (‘90), Sharpe (‘90), Merton (‘97), Scholes (‘97), and Fama (‘13)), one was already a Nobel laureate (Arrow (‘72)), and three are dead and thus not eligible (Lintner, Black, Hirshleifer). So what about the chances of the three remaining finance pioneers Michael Jensen, Richard Roll, and Stephen Ross? By the way, this year’s laureates Hansen, Shiller, and Fama (a well as the previous laureates Engle, Lucas, Arrow, and Samuelson) are all among the twelve elected Fellows of the American Finance Association, recognized as having made a distinguished contribution to the field of finance. PS - Here's the evidence. Predictable Nobel Prizes in the Economic Sciences? was published on October 15, 2013 .